The work of the Railway over bridges is atleast moving on papers quite swiftly these days. District incharge Minister Jarkhiholi in a meeting yesterday told that the work on the Railway over bridge and Kapileshwar road and Dharwad Road (old PB road) would be commenced soon. He added a sum of Rs. 15 crores from centre and 48 lakhs from the state were approved for the same. Both the over-bridges would be TWO laned. The over bridge at Old PB road would be approx 620 mtrs long and would be built on Pillars so that the space created below can be used for parking and also it would facilitate the shop owners on the side. 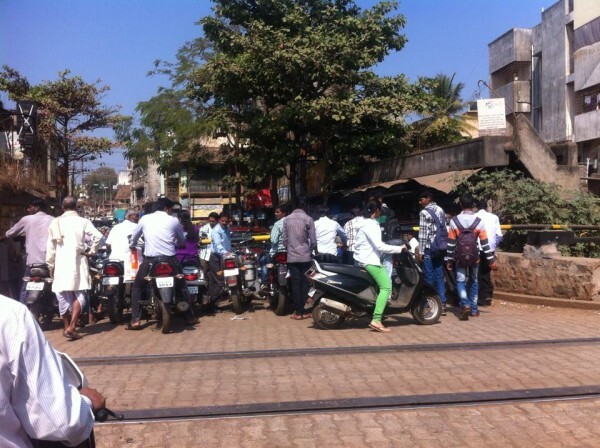 FOUR over bridges over the railway crossings have been approved at the following places Old PB road, Kapileshwar Road, First Railway gate and Third Railway gate, however work has been approved for the above two only as of now. However the exact date of commencement of work is not known. Good . Make sure you involve people staying near by , listen to their views , comments . Make it totally transparent . People involvement in such public work has been missing and hence potential case for corruption . As the expenses are met out of contributions made from public by way of taxes , they should be involved at every stage . I hope NGOs and Citizen come forward to take part so that benefit is enjoyed by all . All the best . can you get the plans for both the bridges – would love to see how long they are and which streets would be blocked by them.. eg: Bhandur galli would probably be bifurcated by the kapileshwar road bridge. Space around these railway crosses are very congested and after railway crossing, there are immediate cross roads to main roads. Under these space constraints, we are exited to know the design of these over bridges.